Gloria is incredible! She is full of energy and was totally able to customize her tour to our interests. We hated to part after spending our four hours with her. She is professional and wonderfully knowledgeable. Lisbon CANNOT have a better guide!!! We, my husband, 12 yr old daughter and I, had a fabulous walking tour with Gloria, adapted to our request of being taken off the beaten track, and all of us would not hesitate to recommend her. She is extremely personable and fun to be with. Her animated enthusiasm and knowledge brought Lisbon to life - its history and culture. Obrigadão Gloria, we look forward to seeing you again. TOUR GUIDE RESPONSE: Oh. That it so nice of you. Can not wait to be your guide again. We enjoyed our tour with Gloria. We found her to be quite knowledgeable and willing to tailor our tour to our preferences. One of the best private guides we have ever had. TOUR GUIDE RESPONSE: Thank you so much for your kind words. I hope to see you again. Gloria is a very knowledgeable and personable. We really appreciated her flexibility in adjusting the tour based on our interests. We highly recommend her as a guide. TOUR GUIDE RESPONSE: Thank you for your comment Margie. It was a pleasure to have been your guide. This was our first time together but I certainly hope we see each other again. Gloria was a super tour guide with great knowledge of Lisbon. The history and culture of the city provided a great half day tour. Gloria was gracious, enthusiastic, knowledgeable and totally accommodating- she customized our tour so we had a chance to see off the beaten path areas of Lisbon. Speaks superb English. My wife and I had a thoroughly enjoyable tour with Gloria. As a tour guide, Gloria was both very knowledgeable and informative, and showed excellent consideration for my wife who potentially might have had mobility/stamina concerns. We highly recommend Gloria and our tour and rate Gloria as a 5 out of 5! Gloria was a really great guide who kept the four of us (my wife and I and daughter/boyfriend) entertained throughout our tour. Her knowledge is excellent and she managed our short time really well and as a result we managed to see all the key sites in Lisbon without seeming to rush, and we learned a great deal in the process. No hesitation in recommending Gloria and we've already given her details to all our travelling friends. Gloria is an OUTSTANDING guide - She is passionate and enthusiastic - She statrted in our hotel lobby with a nap and her suggestions then took us on a marvelous tour of Lisbon... Exceptional knowledge of Portugal & Lisbon and their history & their impact on the world! TOUR GUIDE RESPONSE: Thank you so much. I hope to see you soon. Gloria is a remarkable and talented tour guide. Her knowledge of Portugal's history coupled with an ability to communicate it in perspective is top rate. Her English is excellent. You will enjoy every minute of your time with her. TOUR GUIDE RESPONSE: Your comments are very kind. I hope to see you again. Gloria, our guide in Lisbon for four days was wonderful, thoughtful and always full of ideas that made our trip a memorable experience. We visited Sintra and the National Palace, wandered Jewish Lisbon and Alfama, walked the magnificent medieval streets of Obidos, the Monastery of Alcobaca and the Roman ruins at Evora. Gloria walked the streets of Lisbon with us, finding great restaurants, sharing history, and found the most intimate FADO experience in the City for us. She made our trip a true joy. Gloria did a wonderful job. At first she seemed to focus on shopping opportunities, but, once she realized this wasn't our focus, she shifted gears and provided a super tour. TOUR GUIDE RESPONSE: It was great to meet you. I am happy you enjoyed our tour. Gloria gave us a tour of Jewish Lisbon along with city highlights. 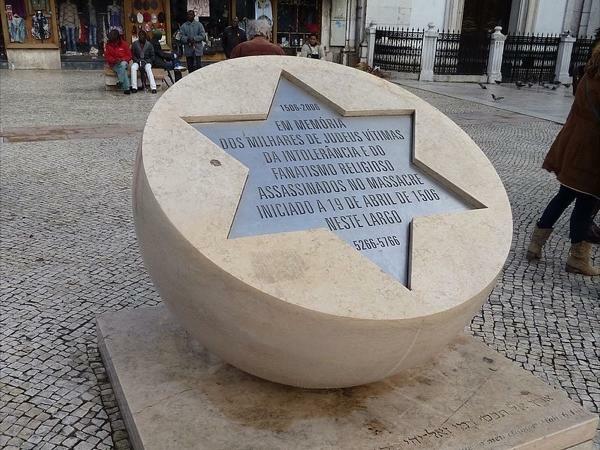 We were more than pleased, we were overwhelmed with her knowledge of the Jewish people from the earliest times to present day Lisbon. Walked along the Jewish streets, visited the synagogue and then saw the memorial of the massacre. Gloria in four hours gave us a Lisbon experience, even local foods. She is a five star plus. Gloria is knowledgeable enthusiastic and entertaining about Jewish history in Portugal and also gave us much background in Portuguese/Lisbon history. She was very tuned in to what we needed (one of us had difficulty walking and standing), and wanted to do. The synagogue and Alfama were the highlights. Gloria was simply outstanding. Besides being just a very nice person, she was very personable and made the tour not only informative and interesting but also very comfortable. My wife had some special shopping interests and Gloria seamlessly built those interests into the tour and assisted with the selection to assure quality. Should we return to Lisbon, we will schedule our visit to coincide with Gloria's availability. A very enjoyable day with an outstanding guide and person. Very informative and wonderful tour! TOUR GUIDE RESPONSE: Thank you so much for your kind words. I hope to see you soon. Incredible guide!! Kind, patient, knowledgeable and fun!! Will repeat tours with her definitely!! TOUR GUIDE RESPONSE: Gracias! I hope to see you soon. This is a truly excellent guide. Gloria goes out of her way to make sure that the people she guides are comfortable, and well-informed. She is extremely knowledgeable and communicates very well in English. TOUR GUIDE RESPONSE: Thank you Bill and Cathy. it has been a pleasure to be your guide. I hope to see you soon. Gloria is a gem in Lisbon! Her knowledge and personality are unmatched. She's engaging, funny, smart and she made us love Lisbon. Her walking tour was incredible, and we'd highly recommend her for any tour in Portugal. She's amazing! Very fluent in English. Extremely knowledgeable, exceptional personable. My wife and I enjoyed our tour with her very much. We would recommend her highly. Our tour with Gloria far exceeded our expectations, which were quite high based upon previous experiences with guides Tours By Locals. As agreed, Gloria was waiting for us at the airport. Our plane was early but Gloria had checked with the airline and she was there smiling when we arrived. Her knowledge is superior and her English is flawless. She crafted a tour to our specifications. She noticed in one of our emails that my wife is severely gluten intolerant and took us to a terrific gluten free bakery. TOUR GUIDE RESPONSE: Thank you so much Paul. I hope to see you again. Gloria was a marvelous guide. She tailored a tour for our family that included a Jewish history of Lisbon, and then she was unendingly gracious and flexible with our three energetic boys. Her comprehensive knowledge allowed all of us to deeply appreciate the wonderful city of Lisbon and all its history. She was generous with ideas of what else to explore with our boys during our stay, and was a lovely person with whom to spend half a day. Highly recommend. Gloria was our guide on Jun 5, 2018 for a Jewish Lisbon half day tour and again on Jun 6, for a half day Sintra and Cascais tour. Gloria is an interesting and informative guide, and a delightful travel companion. She quickly understood our interests, and tailored our visits accordingly. Our particular interests in the Jewish history was well served, including an enlightening visit to the synagogue. I am partially disabled, and she ensured that my access requirements were taken care of. Thanks Gloria. TOUR GUIDE RESPONSE: It was a delight to meet both of you Charles. I hope to meet you soon again. All the best. Gloria was our guide on Jun 5, 2018 for a Jewish Lisbon half day tour and again on Jun 6, for a half day Sintra and Cascais tour. Gloria is an interesting and informative guide, and a delightful travel companion. She quickly understood our interests, and tailored our visits accordingly. Our particular interests in the Jewish history were well served, including an enlightening visit to the synagogue. I am partially disabled, and she ensured that my access requirements were taken care of. Thanks Gloria. She is very knowledgeable, very friendly and very nice. She showed us much more than we expected to see and answered all our questions. The rainy day in Lisbon seemed to be shiny for us :) Thank you, Gloria and thank you, ToursByLocals!!! Gloria was a wonderful guide on our day trip to Sintra! It was as if we were traveling with a very knowledgable and accommodating friend. One of the highlights was having lunch in a restaurant that is typically frequented by locals as opposed to tourists - we were able to dine on traditional Portuguese cuisine in an authentic atmosphere. Thanks, Gloria, for ensuring that we had a special day! I highly recommend Gloria for your tour guide in Lisbon. She maintains a pleasant personality and designs the tour according to your needs. Gloria possesses a wealth of knowledge about her city from an historical, cultural and artistic perspective. Mrs. Gloria si a nice person and a great guide. Thank you for all information and help you gave me during my stay in Lisbon. If It was possible to give a guide six stars instead of five, then that would be rating for Gloria. My wife and I just completed a walking tour of the city and wished it could have continued afor hours. More than just her knowledge and understanding of the history of Lisbon and Portugal, Gloria's love of Lisbon's culture,food, and lifestyle made spending time with her like being with a dear old friend. She so clearly loves what she does and it shows in everything she does...a first class experience! TOUR GUIDE RESPONSE: Thank you do much for your kind words. It was a true pleasure to meet you. Now you know where to find me and where to bring your family to. It was a pleasure meeting Gloria and seeing Lisbon through her eyes. She is a fantastic guide and a lovely person. Hope to be back one day! Gloria was a delight! She knows her history of Lisbon and Portugal. She is flexible in her itinerary. We were able to change the walking tour since we had already visited Castle St. Jorge. We enjoyed chatting with her about life in general as a Lisbon native. Let her take you to Cork & Co. for some cork products to take home! She comes with a high recommendation from the four of us on her tour. Gloria was amazing. During the tour she provided a great description of Lisbon history that made it vivid and real. She was great at describing all of the locations we visited. She took us everywhere we wanted to go and more. She even showed us great places to eat, drink, and listen to Fado. Gloria was a fantastic guide! We truly enjoyed her company and knowledge and highly recommend her. When we return to Lisbon, we will certainly use her services again! Thank you Gloria! TOUR GUIDE RESPONSE: Thank you so much to all 3 of you. I will remember you and I hope to see you again soon. TOUR GUIDE RESPONSE: Hope we see each other again! Gloria exceeded our expectations. She was knowledgeable, professional and very energetic. We saw twice the number of sites in depth that we would have covered on our own. We would hire gloria again! TOUR GUIDE RESPONSE: Thank you so much for your comments. It was a pleasure to meet you and hope to see you again in Portugal or in Washington. We can't say enough about our amazing guide, Gloria. If you get a chance to tour with her, you won't be disappointed! Gloria showed us her beautiful city with the aide of a wonderful driver and we had a great day experiencing Lisbon. We especially loved the restaurant 5 Oceans, a seafood restaurant overlooking the marina and near the bridge built by the same company who constructed the Golden Gate Bridge. Gloria's excellent English and knowledge of history enhanced our perfect day. 10 Stars, Gloria! Only wish there were more stars to give!!! Gloria is FANTASTIC!!! What a delightful time we had and will come back again to Lisbon because of Gloria and her insights!!! Loved all that she planned!! Her English is great, easy to understand. Her knowledge of the area is awesome!!! Hire her if you want a real treat!!! TOUR GUIDE RESPONSE: It was a true pleasure to be your guide. Please come back to meet me again. Gloria was a dream come true!! We spent two glorious days with her and two different fabulous drivers!! Because of Gloria, we LOVE Lisbon and the surrounding areas!! Her English is perfect and she is a delight!!! We use Tours by Locals often and she is at the top of the list of guides. She was flexible, understanding our wishes and very knowledge!!! You will not be disappointed!!! TOUR GUIDE RESPONSE: I really thank you for your words. Gloria was an absolute delight, as well as a very helpful, considerate, and knowledgeable guide. We both felt we'd really gained a great introduction to Lisbon and learned so much. TBL guides are always good, but Gloria was exceptional! Gloria was a wonderful tour guide. Very professional, knowledgable and friendly. You can tell she has studied tourism and has her license. She made sure we saw and tasted all, but adjusted for our tiredness due to having just arrived. She even provided great dinner recommendation. I would recommend Gloria - enjoy!! I'd read a lot about Setubal and enjoyed exploring it with Gloria who lives nearby. She tailored it to our interests with e-mails prior to arriving in Portugal and later during the tour itself. We especially enjoyed the fish/fruit and vegetable market and the handmade tile "factory." Most of all, we enjoyed talking with Gloria, including at lunch at a special restaurant of hers. Don't pass on the chance to see an area off the usual tourist path with as charming and informative guide as Gloria. TOUR GUIDE RESPONSE: Thank you Stuart. It was a pleasure to meet you. I hope to see you soon. Regards. Mafra is one of favourite hidden gems of Portugal. This beautiful city is less that one hour's drive from Lisbon. The gigantic UNESCO inscribed Mafra monastery is one the most amazing and remarkable architecture in Portugal. We also tried some local specialties and desserts at a local restaurant and pastry shop. Such amazing day cannot be done without Gloria's guidance and effort. She's definitely a five-star tour guide, I would even give her six stars if possible! Strongly recommend this tour if you want to do something different from the classic tourists destinations such as Lisbon and Sintra. Evora is a charming, laid back medieval city with lots of interesting historic and cultural spots. We also visited the famous José Maria Fonseca wine cellar and a local tile workshop. Such a perfect day tour! All credit to Gloria! TOUR GUIDE RESPONSE: Thank you so much for your words. This gastronomical and scenic tour organized by Gloria is something off-the-beaten track but amazing and entertaining. Gloria is a charming and cheerful lady, probably one of the best guides I have ever worked with. She is very flexible warm-heartened, always listen to her visitors and out their interests in the first place. Can't praise her highly enough! Gloria's passion, expertise, knowledge and dedication is second to none. She organized me a day tour to Batalha. Fátima and Alcobaça. These are some of the hidden gems yet important, beautiful and historically significant places of Portugal. She also took me to a local pastry store in Alcobaça. I had a really great time with her. Unequivocally recommend Gloria if you wish to know more about hercountry's rich culture and fascinating history. TOUR GUIDE RESPONSE: It is nice to get away from the capital and experience more of tge authentic Portugal . I spent a lovely day in Sintra and the West Coast with Gloria. Sintra is one of the must-see in Portugal, the palaces, monuments are magnificent. The likes of Cascais on the west coast are incredibly lovely places to visit, especially in the summer. Gloria is a superb guide, her accompany makes a lovely day ten times better! TOUR GUIDE RESPONSE: Sintra can be enchanting. I am glad you loved it. I like hiring local guides when travelling to different countries, yet Gloria's enthusiasm, dedication and passion is second to none. We spend half day in the history quarters of Lisbon and the other half day in Belem. Gloria told me a lot about Portugal's culture, history, economy....everything. I could feel how much she loves her country and her job. Can't praise her highly enough! Booked a half day-tour with Gloria. She showed up at the airport punctually to pick me up. Next, we went to a less touristic spot which offers a stunning and spectacular view of the Lisbon old town. Gloria showed me some key spots in Lisbon old town before driving me back to my hotel. She is friendly, kind, sincere and professional. A tour with Gloria is the best way to kick off your Lisbon holidays! TOUR GUIDE RESPONSE: Thank you for your kind words. The first day can be hard because of jat lag. but you did great! TOUR GUIDE RESPONSE: Thank you Richard. I was a pleasure. Gloria was a pleasure to tour with and full of wonderful knowledge about Jewish Lisbon, Lisbon and Portugal generally. Her kindness and enthusiasm were wonderful and we enjoyed seeing Lisbon and Jewish Lisbon through her eyes. She also gave us some great information about typical Portuguese food which we were able to experience with her at a delicious lunch in a local restaurant. TOUR GUIDE RESPONSE: Thank you so much for you kind comments. I hope to see you again soon. Gloria is a delightful lady with a wealth of knowledge who led us on a tour of Jewish Lisbon plus the sites of Lisbon. She was terrific. We were able to visit the Synagogue and other relevant sites plus visiting other interesting areas in Lisbon and nearby suburbs. If you would like a fascinating Jewish tour by a wonderful guide, book with Gloria and you will not be sorry. TOUR GUIDE RESPONSE: Thank you so much for your words. I will see you next time. Simply amazing tour. Gloria is extremely knowledgeable, smart, funny and passionate about her country. A consummate professional, she works with the client to make sure everything is just perfect. I loved every minute of our time together. She is just such a pleasant, easy-going and awesome person I would recommend her unequivocally to anyone interested in getting to know and experience Lisbon on a tight time frame. TOUR GUIDE RESPONSE: Thank you so much for your beautiful words. I hope we can meet again in a near future. Gloria is a wonderful guide. She knows all the sights extremely well and speaks perfect English. She was very warm and friendly yet professional and made us feel welcomed. She was right on time and was proud and enjoyed showing us the highlights. I would definitely use her again and wouId highly recommend her! I've been using tours by locals for years and have never been disappointed yet! We had a great tour of Sintra and its palaces with Gloria in April 2017. Gloria was a wonderful guide -- very knowledgeable and accommodating. We highly recommend taking a tour with her. TOUR GUIDE RESPONSE: Thank you so much for your kind words. I hope we can meet again soon. Gloria is a wonderful tour guide. She treated us like royalty. Her knowledge about Portugal and Lisbon and Jewish life in Lisbon was excellent. We enjoyed being with her for the day. One of the highlights was visiting the only synagogue in Lisbon where we met with one of the members and could ask questions. Gloria showed us much more of Lisbon that we even anticipated. I would recommend her as a guide to anyone visiting in Lisbon. She was delightful. TOUR GUIDE RESPONSE: thank you so much. i hope you come back one day. Gloria was a fantastic guide. Incredibly knowledgeable about Portuguese and European history. She was prompt,smart,fun,excited to show us Portuguese culture. We never felt rushed catered the tour to our needs. She gave us a true insight into the country and people. I would love to hire her again on our next trip back. TOUR GUIDE RESPONSE: Thank you for you amazing comments. I loved to show you Sintra and I hope to see you again very soon. TOUR GUIDE RESPONSE: Thank you for your kind words. It was amazing to have met you. It will be pleasure to be yoir guide again when you will have a chance to come back. Gloria is very knowledgeable, charming, friendly and fun! Together with driver Marco, they made our first day in Lisbon unforgettable. TOUR GUIDE RESPONSE: thank you Maricel! It was a pleasure to be your guide. Gloria has to be in the top three guides we have ever used in all of our years of traveling the world. Our gastronomic and historical tour of Lisbon and other nearby cities was packed with fun, fantastic facts, amazing food and memories to last a lifetime. Gloria speaks five languages and is so knowledgeable about the subject matter that time literally flew by. And that secret restaurant where we dined for lunch was magnificent. A charming smile, a great laugh and a congenial personality too! Gloria was a great guide. She is very familiar with Lisbon, and in the short time we had, she helped us to see a great deal. She is very pleasant, knowledgeable, a good driver, and reliable. Would definitely recommend her. Gloria was a fabulous tour guide. Her vast knowledge of the history and construction of the Palace and her interest in seeing that we had a wonderful experience make me highly recommend her for anyone who wishes to visit Lisbon and Sintra. Gloria did an excellent job. All six of us were very pleased with her tour. She was very knowledgeable and had done some homework before we met. She certainly set the stage for the rest of the week that we were in Portugal on the cruise of the Douro River. Our guide, Gloria, was very knowledgeable and concerned that we were getting exactly what we expected from our tour. Gloria was a pleasure to share Lisbon with. She was very informative and energetic. We had a wonderful time exploring the diverse city. TOUR GUIDE RESPONSE: I hope we can explore more of Portugal together next time. Gloria was very engaging. Great with our daughters (9 & 17). She is very passionate about Lisbon's sights and heritage and made the history come alive with her insights and knowledge. She made our tour a fabulous experience. TOUR GUIDE RESPONSE: Thank you so much. My pleasure! Gloria has a lot of talent keeping the childrens interest. It was a pleasure to discover the garden and go from surprise to surprise guided by Gloria! The kids had fun ! TOUR GUIDE RESPONSE: thank you. See you soon. Gloria has a lot of talent to keep the childrens interest; the visit was quality for all ages! Gloria has a lot of talent to keep the childrens interest ; the visit was quality for all ages! Gloria has a lot of talent to keep children interested; the visit was quality for all ages! Gloria was fantastic; flexible, very knowledgeable on history and the current affairs affecting the city, helpful with suggestions for food and transport to other attractions for the remainder of our visit and totally charming. A prefect way to explore Lisboa. Had a wonderful day with Gloria visiting Sintra, Cascais, and Lisbon. She has a delightful personality and was very knowledgeable about the places we were visiting. She has great insider contacts at restaurants, pastry shops, and attractions which made the day even better. Knowing the owner of the restaurant makes for an exceptional dining experience! When the owner comes out to help you find a parking spot and gives your guide a big hug, you know that you chose the right guide. It's hard to combine one day in Lisbon to allow a first time visitor a chance to get a real feel for the city. Glória did that exceptionally well. Taking tow jet-lagged travelers who have just arrived in Lisbon and whose hotel room is not yet ready is a challenge. Glória in a limited amount of time was able to accomplish that as well as anyone could. Gloria picked us up at our hotel for a half day tour of Sintra & Cascais. We had a wonderful day before with her exploring Lisbon (see other review), and this jaunt to the coast was equally great. The UNESCO town of Sintra was wonderful and is worthy of a trip by itself, but we needed to move on to the town of Cascais. Again, Gloria was able to bring the town to life with her knowledge of the area and her personality. We would highly recommend her if you are going to the Lisbon area. Our 2nd day of 2 with Gloria was as good, if not better than, the first. We wanted some very local things today: a visit to a small, exquisite family owned tile factory:got just the place. Lunch with the locals:know just the place. That was what the whole day was about. Just a wonderful day experiencing things not normally on the tourist agenda. Gloria is an absolute pleasure to be with. Her knowledge cannot be beat & along with her enthusiasm & spontaneity this makes her the best guide in our 6yrs/w TBL. Gloria is a real gem. At the last minute we needed to make make some changes to our itinerary and she 'changed gears' flawlessly. Her knowledge is incredible: be it historical, gastronomic, political or just plain local tourism cannot be beat. We have not had a better guide in the 6 years we have been using TBL. No one could have had a better guide/experience in Lisbon than we had with Gloria. It was an awesome & great experience to spend 2 days with her! We will do it again in a 'heart beat' if possible. Gloria is an energetic and extremely knowledgeable guide. We very pleased with Gloria and Lisbon. TOUR GUIDE RESPONSE: Thank you. I will see you next time! Gloria did a great job showing us around and adapting to our requirements. She is very enthusiastic and knowledgeable and her command of the English language is superb. We have had a great time and she is an excellent ambassador for her city and country..